The next time you work on an intranet project, whether for private- or public-sector organizations, ask your client or manager about branding. Usually, the answer will be another question, “Why do we need to worry about branding?” After all, this is an internal site, for employees only, or—in the case of extranets—for contractors and partners, as well. If users are on the intranet, why do they need to be reminded about which organization owns it? Intranet branding efforts, of course, can range from an executive-level brainstorming session to hiring a high-powered branding firm to research the company and come back with a series of proposals. First, let’s distinguish between brand and brand expression. Many people assume that the brand is what you see in the design concept for a company or product—the colors, the logo, the slogan. The brand itself, however, is actually a broad concept that encompasses everything about the corporate image (brand perception), collective values, and the experience people have when dealing with this organization (brand attributes). It could be conceptualized as one brand, or as a mother brand with several offspring daughter brands that align with the corporate goals of the mother brand, but also have their own distinguishing characteristics. Brand expression, on the other hand, is how a brand is given shape and voice (sometimes effectively, and sometimes not), whether on products, in advertisements, in signage, or on websites. It’s often associated with design elements—look and feel—but it’s also about the language used to express the brand personality, qualities, and values. First branding issue: Who cares about the brand? Two brand issues arise for many intranets. First, in most organizations, intranets lack a formal governance strategy to help them achieve a balance between what the organization wants to gain from its investment in an internal site, and what employees want to have on the site to make their daily tasks easier and, well, make the workplace a little more fun. Furthermore, intranets often have many departmental stakeholders, each with advocates at the executive level, who want to make the intranet into a tool that will suit their needs. While all of their objectives may be legitimate, they’ll naturally be competing for space and attention on the intranet. Most employees don’t care if the corporate brand expression appears consistently throughout their intranet. Department heads may actually prefer it didn’t, because they would rather build a brand identity for their own department. Only a few lonely souls at the top of the foodchain seem to want the intranet to reflect the corporate brand so that employees are reminded they are working for a single organization instead of a loosely knit group of principalities. Second branding issue: The intranet sub-brand. Should the intranet have its own identity, a kind of sub-brand to the mother brand? Isn’t the notion of defining an intranet sub-brand or “Intrabrand” just another bit of fluff that can be resolved once the detailed design is developed? The first branding issue, the high-level corporate one, is best answered by the company’s own business strategy. How pervasive does it want its internal brand expression to be—either to reinforce corporate values, oneness, and community, or simply for overall corporate consistency within the site, which is also an important factor in usability ? It’s easy to use marketing research to discover the importance of the company’s brand to clients and the general public, but how do you determine its value for internal users? The simple answer is that there is value in having some visual and textual reminders of the organization’s mother brand on its intranet site, but, strategically, it may be more important to develop a strong, visible, and consistent sub-brand for the intranet, especially if it is being redesigned. That sub-brand is not just a matter of a simple wordmark, such as giving the intranet its own name, but a complete identity that also aligns with corporate business goals and reflects the community of employees it serves. Give design elements a site-wide consistency, creating a strongly unified look and feel—this develops a sense of teamwork and equality among different departments. Create a dynamic identity and community for the workforce. Even if elements of the intranet include prominent corporate messaging, goals, etc., this is the employees‘ environment, and if they don’t use the site, it quickly diminishes in value. 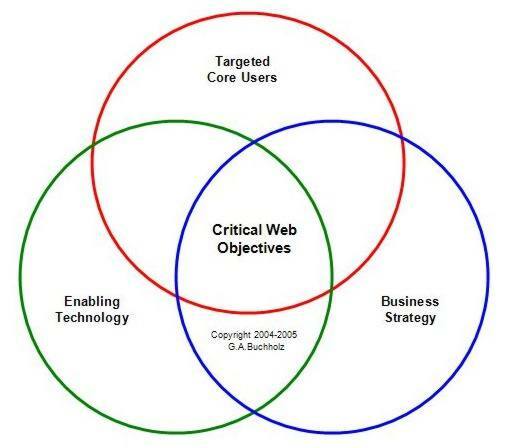 Define the intranet’s main objectives and intended use. Intranet branding can help communicate to employees how the organization expects them to use it, and what they can use it for. Provide a benefit to current and prospective employees. An intranet that has an integrated social networking value will appeal to new generations of employees whose internet experiences have made them expect higher standards from web communities. Build a permanent foundation for employees. An intranet’s lifespan can extend even further than the careers of many employees. While the organization itself may be buffeted by external forces, be restructured, or even be sold to another corporation, the intranet may provide a sense of stability and community. When I started working on the redesign for the City of Winnipeg’s intranet site, people often confused the city’s internet and intranet sites because they had a nearly identical look and feel. Departments handled their own content publishing, so the site was a loose collection of sub-sites. To add to the confusion, staff would say to each other, “Oh, you can find such and such on the intranet,” and other staff would reply, “Did you mean INTERnet or INTRAnet?” Clearly, the intranet needed its own identity to distinguish it from the internet site and other channels. We redesigned it, renamed it “CityNet,” and required the staff to use the new name in all communications. So, now, when staff say “CityNet,” they not only know they’re talking about the intranet site, they also have a strong brand experience that is distinctly different from that of the internet site (which is called Winnipeg.ca). Know who “owns” the intranet—is it a web council or sub-committee, or is it an individual who has been given the mandate to lead the intranet?—so that any decision about branding the intranet can be approved at the highest level. Create a Statement of Governance that outlines, in two or three pages, the vision, objectives, principles, roles, content publishing processes, governance model, and even the budget. Have a documented intranet strategy, approved by the organization’s executive, that aligns with the overall corporate strategy. It should state the intranet’s purpose, how it should help achieve organizational goals, and how you want it to be used by the employees. Research best practice intranets as well as intranets created for similar organizations, for lessons and inspiration. Of course, obtaining access to intranet sites is difficult because they are restricted to internal audiences, but many intranet reports are available on the internet for a price. Also, if you contact an organization directly, they may be willing to send you some information on their intranet, along with a few screenshots. Listen to your users. The company’s intranet can be a community where interaction is not only happening between management and staff, but also where collaboration and information-sharing is happening between employees who work together in teams and employees who work in different areas. It can break down the silos in the organization and allow real creativity and knowledge transfer to happen, making it a more unified, integrated, and efficient workplace. So, as soon as your IntraBranding efforts begin, involve the employees through surveys, focus groups, representation on the web council or committee, usability testing, and internal marketing efforts. It’ll not only help you create an intranet brand that really speaks to employees, but it will also help the organization manage change when the new intranet is introduced. You can help an organization benefit from a branding or sub-branding effort even if you have already begun the redesign process. Ask the stakeholders whether they have considered IntraBranding, and show some examples of effective intranet brands. For inspiration, look at IBM Canada’s W3 OnIce intranet or Dannon’s DannonCultureintranet, for example. An intranet is not just a website, and not just an employee tool or information repository—it’s part of the workplace environment.